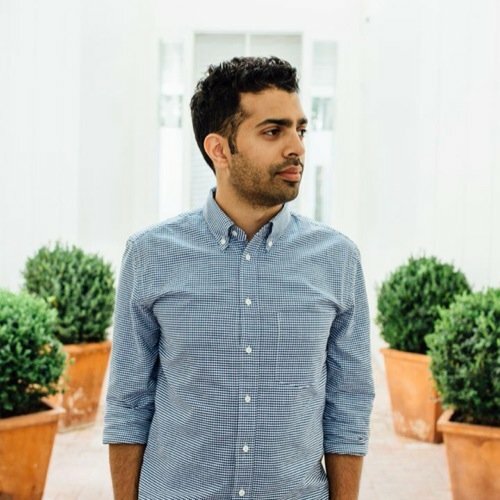 Musa Tariq was Burberry's digital marketing director, then Nike's social media director, and now he works for Apple. Mr. Tariq is Apple's new retail Digital Marketing Director, and his job is a pretty clear indicator that the company is serious about building up its own in-house marketing efforts, and may finally have a real interest in social media, too. Mr. Tariq has a strong track record in marketing and social media, plus he previously worked with Angela Ahrendts, Apple's current senior vice president of retail and online stores, when she was with Burberry. He created Burberry's Tweetwalk program where new fashions were premiered on Twitter before being shown off at fashion shows, and at Nike he handled the company's social media efforts instead of farming them out ot advertising agencies, according to Patently Apple. His in-house efforts fit well with Apple's move to bring its own marketing into its offices instead of relying on ad agencies. He also has experience in the social media game -- experience Apple sorely needs to expand its presence on sites like Twitter and Facebook. Apple currently uses Twitter to promote iTunes, and CEO Tim Cook, worldwide marketing VP Phil Schiller, Internet services and software VP Eddy Cue, and retail VP Angela Ahrendts all have Twitter accounts. The company's executives are using their accounts more to promote the company, which is good, but there isn't a unified Apple presence there or on Facebook. As Apple brings more of its marketing in house, it needs someone that really gets how to get the message out in the digital world, and who understands how to effectively use social media tools like Facebook and Twitter. Mr. Tariq may be the person to help craft that message, and get it in front of the right audiences. Apple already has a strong brand and good marketing, but that doesn't mean it can't be even better. With Mr. Tariq on board Apple may finally have someone who gets how social media works -- and knows how to exploit that.